Why can’t our devices just last forever? Wouldn’t that be perfect?! But, on the other hand, then we’d have no good reason to get a new one! Sometimes it’s our own faults when our phones, laptops, or tablets die… accidents happen! But, other times, they simply just get too slow to be useful any longer. We recently talked about how long your smartphone should last and learned that often times the slowing down is due to those pesky updates that are always being released! Don’t get me wrong, we all love updates, with the promise of new cool features and improved security, but they can slow things down! But what if you never update the operating system or anything else on your smartphone or computer… would it still slow down? Sadly, yes. Why does it take so long for my apps to open? How can I speed up my smartphone? 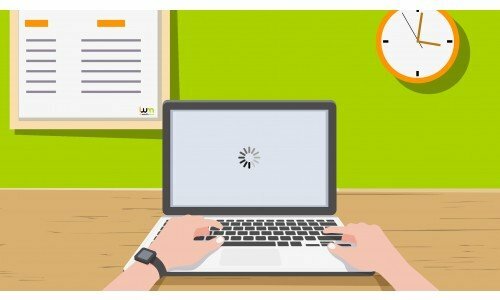 Whether it’s too many apps on your smartphone or tablet or “add-on” programs that downloaded on your computer, too much software can quickly slow down any device. The more software you have installed, the more RAM is going to be used up! Just like we’ve talked about before, “memory bloat” occurs when the operating system and apps update. Each update brings more features and better user interface (aka more visuals and effects), each of these updates require more and more RAM (Random Access Memory) to work properly. When new, our computers, iPads, and smartphones are designed with enough RAM to allow these programs to run smoothly. But as time goes by, our devices don’t magically upgrade their components to compensate, which means the newer apps and programs run more slowly. Often times, many apps and websites will save copies of things that they think users will want to see again. This helps to speed up load times in the future… but slow everything else down. Caching can be an extremely effective way to speed up your devices, but the developer needs to have done it the right way so as to eliminate adverse effects. You can easily clear the cache on your internet browser by navigating to the same place you’d clear your search history. But often times, when it comes to clearing the cache of individual apps, it’s best to simply delete and reinstall the app. How Can I Make My Old Devices Faster? Delete any apps or programs that you never use. Clear your internet browser's browsing history and cache. Figure out which devices are using up the most storage on your phone, then delete and reinstall them. If you’ve completed 1-3 with no success, it’s time backup all of your important data and perform a factory reset. And when worst comes to worst, sell your old smartphone, tablet, or computer and get yourself a new one! Sometimes there’s just no reviving old, slow devices and we just have to face the facts that it’s time to sell it and treat ourselves to something newer and faster! If you have an old device that you’d like to sell, check out how much you could get for it by selling it to at ItsWorthMore.com! Get a quote, send in your device for free, and get paid fast.